Fertilize on time and don’t skip treatments. Fertilizing at the right time throughout the year with the right balance of nutrients will help strengthen your lawn so it can hold up to temperature swings. Feeding your lawn with a quality organic fertilizer in spring, summer and fall will help your lawn develop a stronger root system and denser top-growth. Feeding your soil with organic amendments each month, in addition to fertilizing the lawn, will create a healthier foundation for your lawn and allow it to better absorb water and nutrients. Proper mowing each season will help reduce damage. Too often, lawns are mowed too short or too often in winter, leaving their stolons and root systems more exposed to freezes. Mowing also stimulates new growth during warmer periods, which will be tender and susceptible to frost damage. Most lawns are dormant, or at least partially dormant, during the middle of winter and aren’t putting on much top-growth; so your lawn typically won’t require weekly mowing. If your lawn is still actively growing due to warmer than usual weather, then mow as needed, but keep your mower height set to the optimal height for the type of grass you have. You do need to mow now and then to keep the weeds in check; but you only need to mow low enough to continually remove flower heads- don’t scalp the lawn. Again, set your mower at the proper setting recommended for your type of lawn grass. More info on the Merits of Proper Mowing here. Water smart and for the season. 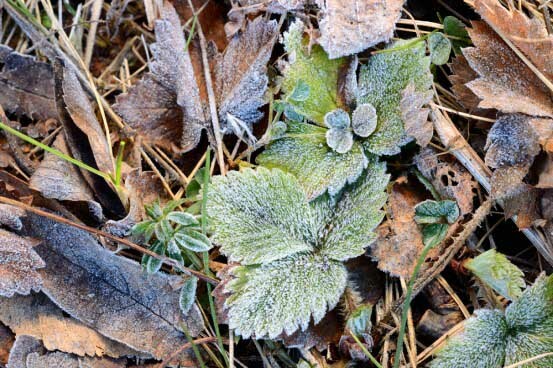 It can be easy to forget that you may need to water your lawn in winter. During dry winter spells, your lawn will need supplemental watering, but not that often. Too much water can be just as bad for your lawn as not enough; overwatering in winter can be especially harmful. Cool, water-logged soils that are already compacted can suffocate plant roots and encourage fungal diseases that can severely damage or kill your lawn. Often, we receive extra rainfall in the fall and winter seasons; that combined with cooler temperatures and slower growth rates mean you simply don’t have to run the sprinklers that often. Typically, a once per month watering on the lawn during winter will suffice. If we are experiencing a dry winter, then you’ll probably need to water the lawn a couple of times a month during winter. How to: Winter watering tips here. Even in January, the DFW area has been known to warm up to the 70s. In this case, we say get outdoors and do a bit of garden clean up! If your soils dry, be sure to water the lawn and landscape as needed. While you don’t need to apply any fertilizers to your lawn and landscape plants, now is the time to feed the soil to keep it healthy year-round. A healthy soil better supports a healthy lawn. Learn how we feed your soil through the year here. No matter the time of year, maintaining your lawn properly will only benefit its health, vigor and longevity.